I’m a girl gamer, and right now my favorite game is Horse Haven. I saw an advertisement on Facebook for it showing a beautiful horse and I just had to investigate. The artistry is lovely and inspiring, and I adore collecting all the pretty horses. Here are 10 tips to play it! 1) If you accidentally delete a farm decoration, don’t worry! Anything you remove is saved in the shop (bottom left button) in the deleted section (the box icon with the slash through it). 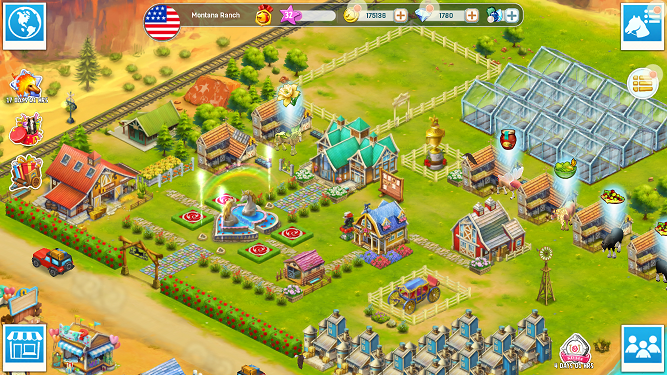 Also, isn’t my US ranch delightful? 2) Grand stables are a must-have when you run out of regular stables, but sometimes you need to take horses back out of the grand stable. 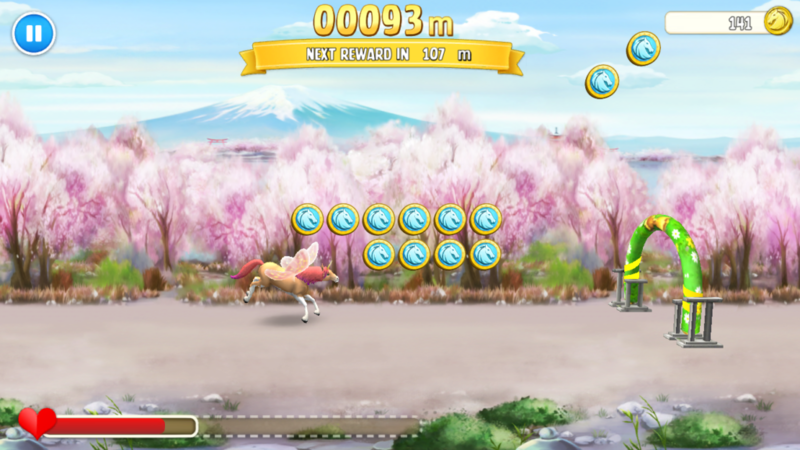 To do this, select the grand stable and choose the horse symbol, then move it. 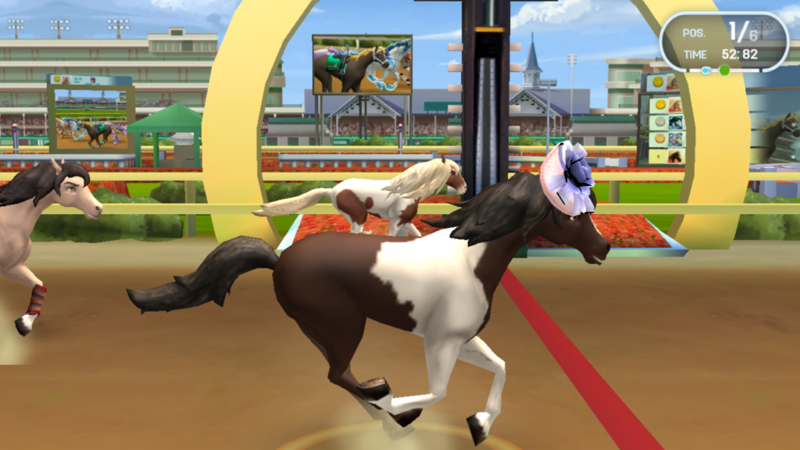 3) You can earn points by racing and redeem for exclusive horses, accessories, and ranch decor. Once you exchange points for decor, find it in that deleted section of the shop. 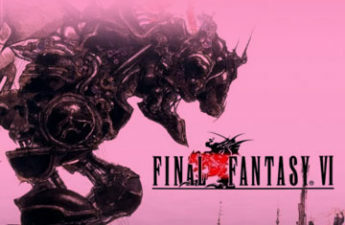 4) I love the Fantasy horses. To get them, you need Dream Jewels, and to get the jewels you can collect the items in the blue jewel icon on the world map. You can only complete it every 12 hours, and if you discard it for a new one, you still have to wait 12 hours, so I usually do whatever it requires. 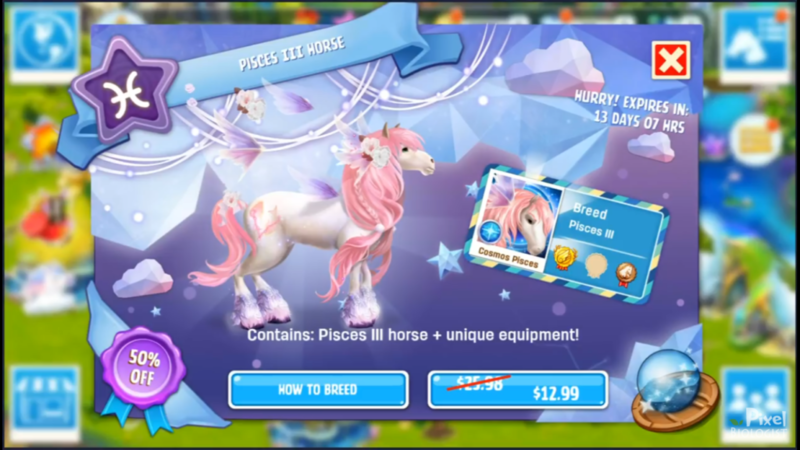 You can either use your dream jewels to buy a fantasy horse, or unlock Fantasy Island where a standard unicorn comes with it (white with blue mane/tail). Once you have your first fantasy horse, the best way to get more is breed it with your friends’ horses…that way, you can save your hard-earned jewels. 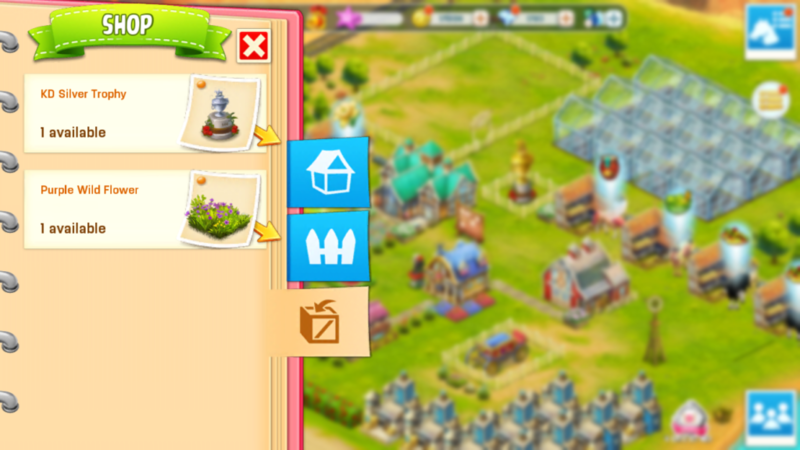 To do this, go to the people icon on the lower right, choose a friend and a ranch, then select a horse and breed. 5) Harvesting is a huge part of the game…it’s like Farmville with horses. My biggest hindrance is running out of storage space, so once items are ready to harvest, I usually leave them until I need to use them. Little game strategy for you. 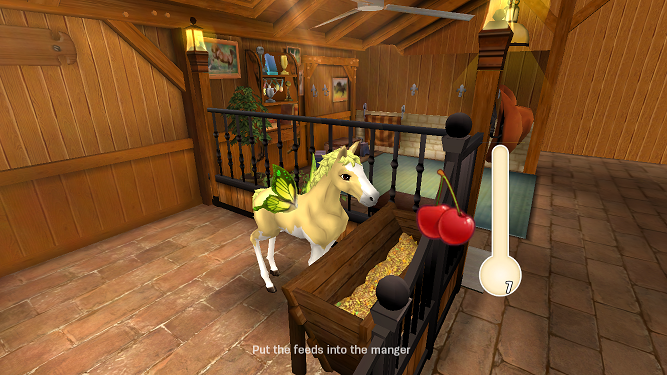 6) Foals (baby horses) can only level up to adults (level 5) by feeding, but after that, I like to use Stablehand instead. Select a stable and the people icon, choose 3 friends, and OK! It costs coins but it’s nice to be able to do when you can spend the coins. 7) You can join a club or start your own. I don’t know if there is a certain level requirement to own a club, but I think once you’re level 30 and have nice decor, that’s a good time to do it. 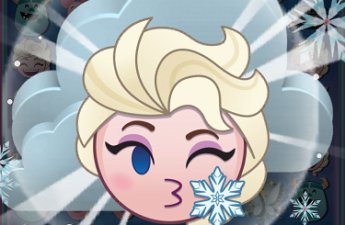 It costs 30k coins and then 10 diamonds to advertise so players can join. For the club name, you pick from a generated list. 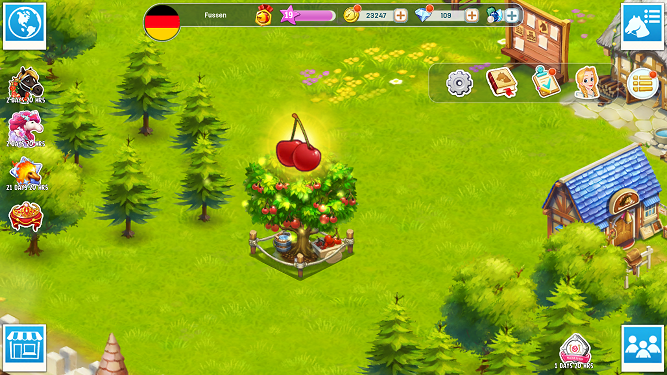 Mine is Sleepy Cherries. Someone started another Sleepy Cherries right after me, so that was annoying. I wish it was possible to breed with club member horses, but it seems you only can with Facebook friends or those who you friend in the game (when someone visits your ranch, select their picture over the cars driving by and friend request). 8) If you need coins, do the steeplechases! Your horses need energy to do them, and you have to feed them to give them energy. So the best strategy is to feed them only when their energy is down and do steeplechases when it’s full. 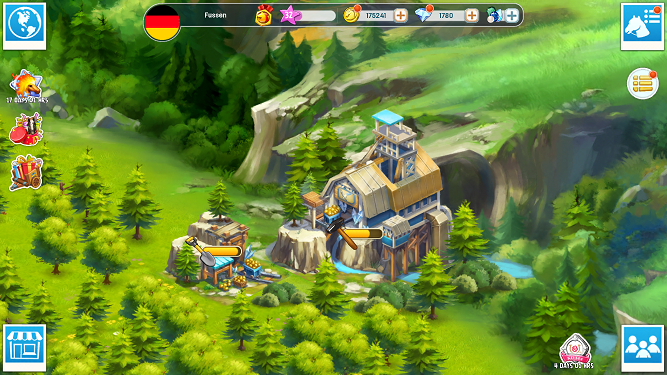 You can also get coins (and jewels) from the mine in the Germany ranch. 9) I love the tier 4 horses. 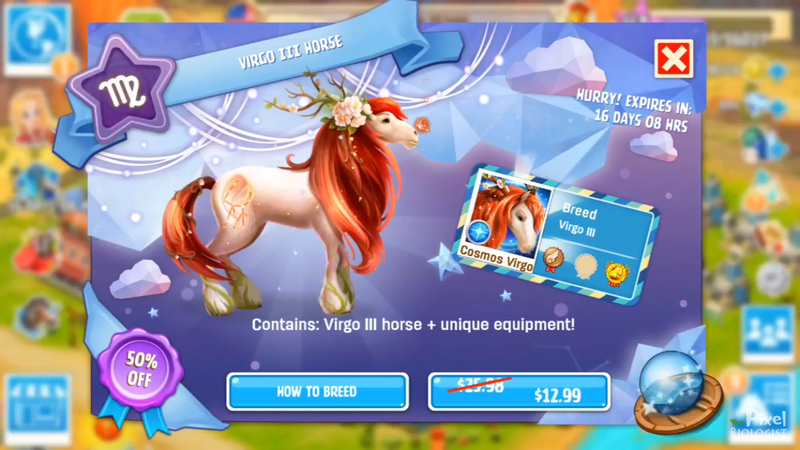 All horses can pure-breed up to tier 3, then if you want tier 4, you have to purchase the certificate first, with common jewels, which you can get from steeplechases, the Quiz Stand (the building with question marks on your ranch), or the mines (on the Germany ranch). 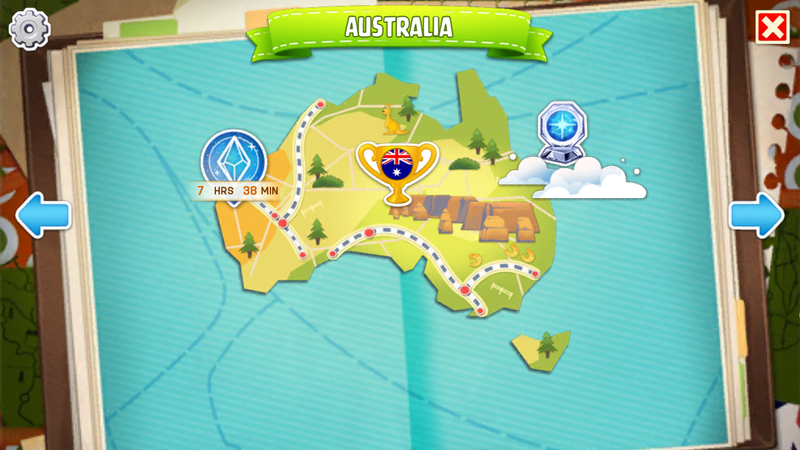 On the map you’ll see the Purebreeders Society crest with the 3 current available breeds, which are always one Elite (lower level), Mythic (mid-level), and Legendary (highest level). I really like the tier 4 Haflinger and Mustang because their manes and tails are so pretty! 10) The Exclusive horses are the the most beautiful horses IMHO, and they are only available for limited times. You can buy them with real money, or earn the 80 recipe pieces from racing. I really want the gorgeous Virgo III and Pisces III Constellation horses. 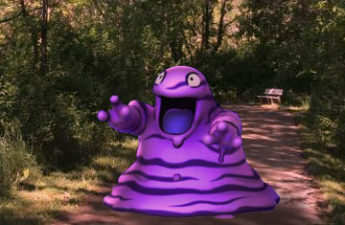 They were already gone when I started playing…sniffle. 7 – Seahorses! An underwater ranch. That would just be fun. Were the 10 tips helpful? Do you have any tips of your own, or any points to add to these? Let me know in a comment!